At Yorkshire Academy, we cultivate qualities of character, citizenship, and academic curiosity in a safe, secure, and loving environment, providing personal and engaging educational opportunities in academics and the visual and performing arts. Yorkshire Academy is a welcoming, joyful Houston private school built and supported by students, teachers, and parents working together in a spirit of mutual trust and respect. We believe that responsibility, collaboration, and intellectual curiosity develop when students are known by their teachers and classmates and feel appreciated for what they do best. We respect each student’s individuality. We invest time and energy in helping students understand that they are worthy, have talent, and can succeed. We build confidence, encouraging students to understand that risks are worth taking and failure is a learning opportunity. We encourage students to stretch beyond their current achievements and points of view, thereby helping them build self-esteem and pride of accomplishment. We have high expectations. We welcome inquiry in academic subjects, experiences in the visual and performing arts, and participation in physical activity and community service. We provide vigorous, enjoyable programs and curriculum directed by talented, qualified, engaging, and energetic teachers. We plant, nurture, and challenge the seeds of developing educational passions, inspiring students to strive for excellence and creativity so they might know the pleasures and value of learning. We believe that intellectual development, emotional maturity, and a moral life are the hallmarks of a successful educational experience. 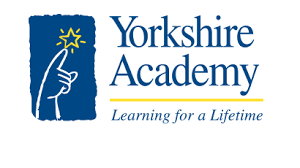 We find that students who are supported by their parents and attend Yorkshire Academy for the duration of their primary schooling receive the greatest benefit. These graduates are mannerly, happy and kind, successful and well rounded, self disciplined and responsible students whose firm educational foundation creates a love of learning for a lifetime.